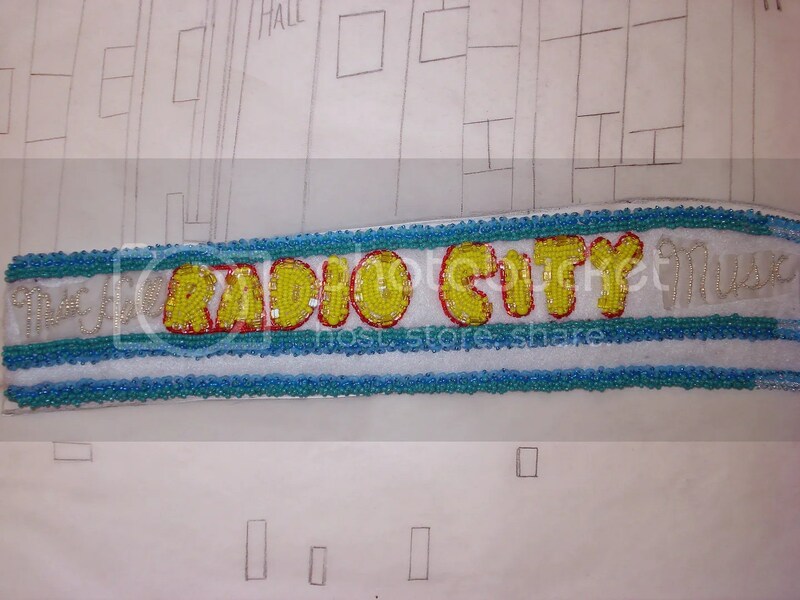 Semi-beaded Radio City Music Hall. Bead embroidery on felt. Work in progress. >Looking wonderful — I do so enjoy visiting your beautiful blog. >I love the hex cut beads! They are zingy and sparkly! I'm loving watching you progress on the project!